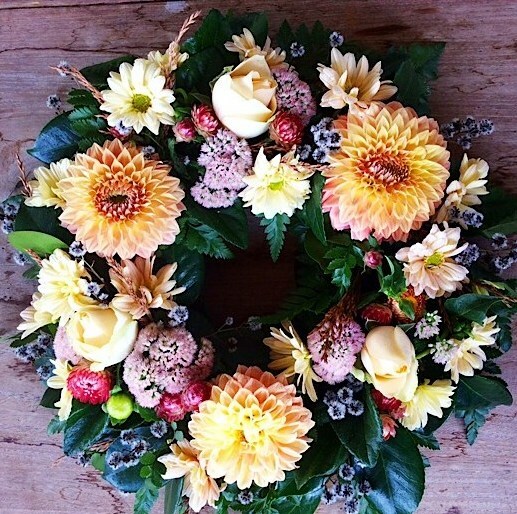 A medium wreath made using long lasting seasonal flowers. 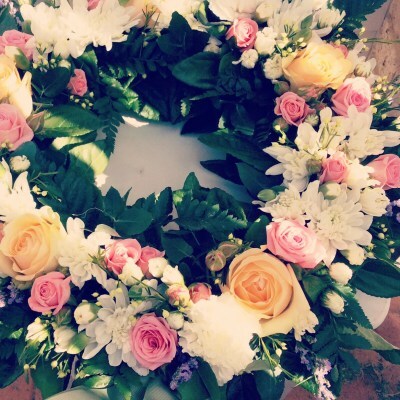 Wreath measures approximately 14″. Please specify colour preference when ordering. If no preference is made, white will be used.